Did you know that you have your own amazing and wondrous energy system running through your body? Your energy system is the life force that beats your heart, allows you to grow and evolve, and energizes all the organs and systems in your physical body. Therefore, it is a key component of overall health and wellness. The emerging field of energy medicine addresses this energy level of our beings. Energy medicine is one of five domains of ‘complementary and alternative medicine’ identified by the National Center for Complementary and Alternative Medicine. Examples of energy medicine include Reiki, acupuncture, and EFT (Emotional Freedom Technique). While the study of energy medicine is relatively new in our Western culture, it has been practiced for ages in Eastern cultures which have long understood that we all possess a life force energy variously called chi, qi, ki or prana in different traditions. Whatever we call it, this is the energy that fuels our aliveness. When our energy system is optimally functioning, we can enjoy a greater sense of well-being and wellness. 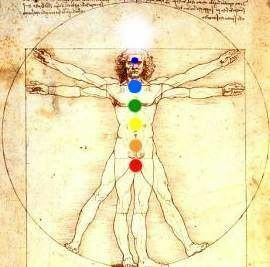 Chakras are a core part of our energy system. ‘Chakra’ is an ancient Sanskrit word that translates as ‘wheel’ or ‘disc.’ Chakras are not seen in the physical body because they are fields of energy. We have seven main chakras which are believed to be spinning spheres of bioenergetic activity (like electromagnetic energy fields). Chakras are stacked vertically in a column of energy that begins at the base of the spine and moves upward to the crown of the head. Each chakra has a purpose as well as unique characteristics. Reiki and other energy healing practices assess where the energy system needs attention and correct any energy disturbances to bring the whole system back to its natural, optimal state of wellness. Getting in touch with your energy system supports you on your path to optimal wellness, joy, and happiness.